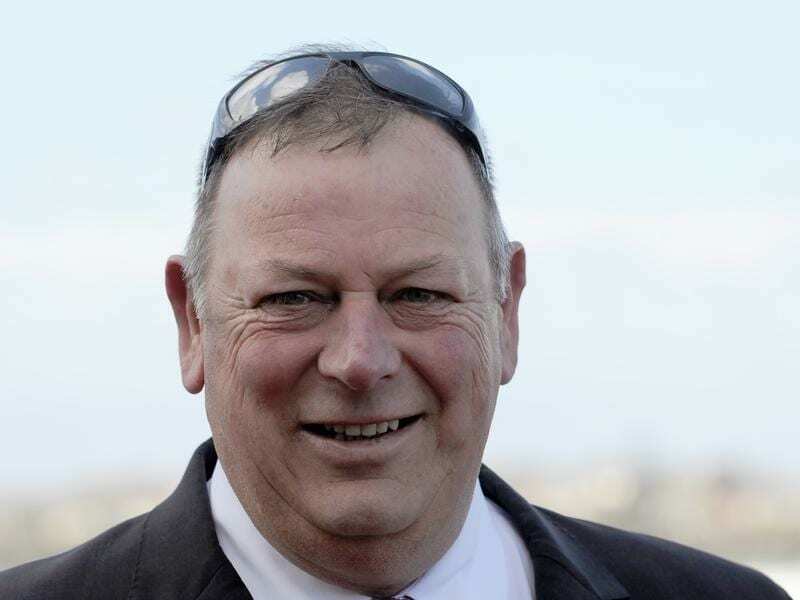 Trainer Mike Moroney hopes to have three runners in the $2 million Sydney Cup at Randwick. Mike Moroney is still unsure how many runners he will saddle up for the Group One Sydney Cup, with final acceptances to determine whether Top Of The Range gets his chance alongside stablemates Sound and Vengeur Masque in the $2 million race. “We will be paying up with all three. It’s just whether Top Of The Range makes it into the field,” Moroney said. Acceptances for Saturday’s Sydney Cup (3200m) are taken on Tuesday. German import Sound produced his best finish from four Group One starts since arriving in Australia when fourth in the Tancred Stakes (2400m) at Rosehill on March 30. Vengeur Masque’s Cup lead-up was a 10th, beaten around four lengths, in Saturday’s Chairman’s Handicap (2600m) at Randwick with Moroney saying the stayer had to do plenty of work early before finding the front. “I thought Vengeur Masque had a pretty torrid run and went terrific on Saturday,” Moroney said. Damien Oliver is booked to ride Vengeur Masque while Damian Lane rides Sound. “Sound went terrific in the weight-for-age race last start. He should have improved and this is his right distance,” Moroney said. Sound was unplaced in the Caulfield and Melbourne Cups last spring after travelling from Germany but Moroney believes he is more acclimatised now and eating a lot better than when he first arrived. “The horse looks a different horse. He looks great,” he said. “He’s glowing in the coat. “I’ve got more of a line on him. Going into the Tancred I said to the owners I thought he would run really well if he took his trackwork to the races and he did run well, without getting the best of runs either. “There’s not much between them. You’d have to say Sound has got the most class. He’s got Group One form so if he takes that there he will be awfully hard to beat. The Charlie Appleby-trained international visitor Dubhe is the $3 favourite.